Blaso Pyrotechnics supplied all special effects for 21 Pilots Australian / New Zealand Tour providing the band with Co2 Cryo Jets, Stadium Shot Cannons, copious amounts of confetti and streamers as well as supply and logistics of gas cylinders for all Groovin the Moo shows and their sold out headline sideshows across Australia and New Zealand. "Everything was great. That was some of the best performing cryo we have ever had. Really made our shows elevated... having your help along the way was crucial for us. Thank you for your hard work!" We work hard to offering Tours, Festival and Outdoor Event organisers a simple, smooth and cost effective solution for supplying, logistics and installing Special Effects, so if you want to work with a professional, dedicated and creative team for your next tour, why not give us a call? 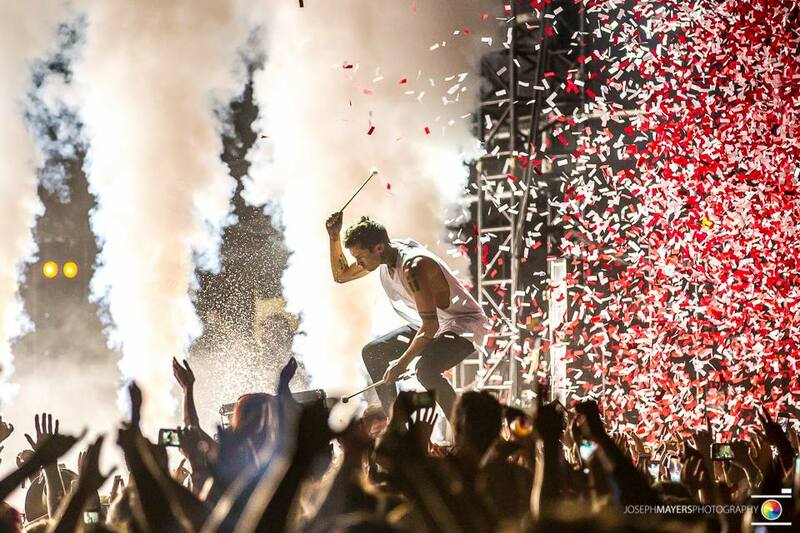 LIFE MUSIC MEDIA: "What came next was visually the greatest performance of the night, Twenty One Pilots held nothing back during their set....Smoke flared up and shrouded the performers during Ride and when Guns For Hands closed the set, fans were showered in a glory of confetti.